Prayer is perhaps the most important thing we do. Whatever our age or situation, however helpless we feel, we can pray. Prayer refreshes our relationship with God. 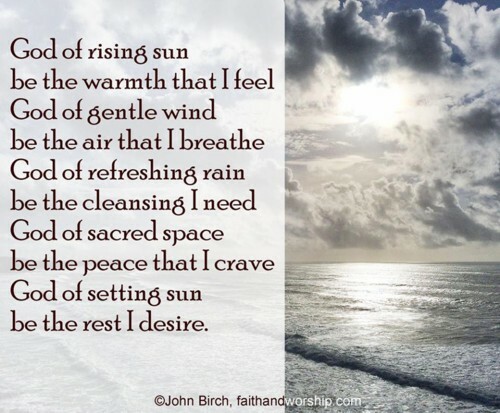 John Birch writes prayers influenced by the Celtic tradition. His prayers are reproduced by kind permission. St Catherine's chapel, behind the organ in St Oswald's, is a place for quiet prayer or reflection. See also the notice board under the Millennium window for prayer requests. http://www.sacredspace.ie/ is run by Irish Jesuits. Prayer, reading and a commentary . londoninternetchurch.org.uk/worship (video morning and night prayers) .